Everyone who wants to have a fun experience learning Japanese can use these tips to create the best program for learning. There are a lot of people who want to learn, but they might be afraid of the process. You can start learning Japanese using all these tips, and you will find that building your own program is a possibility. You might wonder how you can learn Japanese quickly to do your job or make friends, or you could use the Japanese lessons to become a translator who works closely with business, schools, or document creators. You must have clear goals that are easy to achieve. You can learn Japanese quickly if you have a book or app, and you should plan to study every day. Doing a little bit every day is the first realistic goal that you can set. You can download the app, and you might want to get a perfect score on each lesson before you move on. You are setting goals that will be easier to reach, and you can continue studying once you have gotten immersed in the language. 2. Do You Have Experience? The what to learn first Japanese study question that you are asking can be answered by a book or an app. 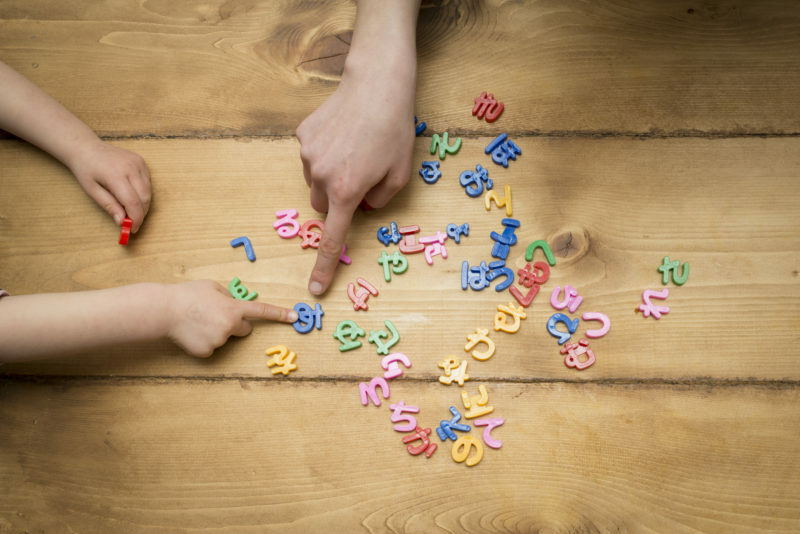 You are taught letters, numbers, and symbols before you move on to words and sentences that you must come to understand. You do not need to have experience learning foreiang languages, but it would be much more helpful if you did. Your experience will help you compare to another language, and you will feel much more confident because you can compare Japanese to English. You need to create a system in your head that is easy to remember, and you can use it every time you need to build a sentence, complete a thought, or use context to learn words. 3. How Much Do You Want To Learn? You might not need to be fluent, but you need to have an understanding of fluency if you are trying to become an expert. Remember that most people who become fluent need to speak to natives, and you need to find an app that will help you do that. You should meet people who will learn English from you, and the both of you can learn something that is helpful. Fluency will take time, but it is a possibility if you commit to daily study. Writing and speaking are tow entirely different things, and you must approach them both with a sense of wonder. You can learn how to write this language like it is calligraphy, and you might even want to learn how to write with special pens that allow you to make something resembling art. Speaking requires more time and practice because you need to know what you are saying. You can take language proficiency tests when you are trying to get jobs overseas, or you might need to take this test before going to school overseas. You can pass them more easily if you have taken the online program that allows you to practice both writing and speaking. The teacher that runs your program will give you guidance, and you can ask them questions at any time. You can get in touch with someone who will act as your mentor, and they will offer help when you are trying to complete the program or have been stuck on a certain problem for too long. Making Japanese friends will be more than useful for you because you can get to know good people who will help you speak this language well. They often know all the slang, and they can explain why you need to say things a certain way. These friends can help you with your accent, or they can show you how to write if you are struggling. You should not learn the Romaji form of Japanese because it is the most obscure. This is something that might escape you as you begin to study, but you need to be careful as you study. Use the more common forms of Japanese so that you can relate to the people you speak too. Learning a regional dialect is not helpful if you are going into business or trying to translate. You should not translate too much because you do not want to be in a place where you are only solving problems in the language. You need to learn how to think for yourself, and you should spend more time learning words that you are entering into sentences so that you can complete thoughts. The majority of people who are learning will need to study more vocabulary than translation so that they have a larger bank of knowledge to work from. You actually have to learn the stroke order for Kanji because there is only one right way to write each letter. Remember that the Kanji strokes take time because they are very natural. They are often painted, and they will need to be as smooth as possible. You might also want to learn how to use Kanji on art paper with real paint so that you can work like the old artists who created these characters, recorded them, and cultivated the art of Kanji over many centuries. You can do everything slowly so that you have time to learn the language in a way that is most beneficial to you. You must take time so that you can gain some confidence with the language. People who move too fast will be thrown off every time they run into something they cannot perfect in a day. You might need thousands of hours. The “what to learn first Japanese” question should come only after you have planned to spend some real time studying. What the best way to start learning Japanese? Set a goal, move slow, and use all the resources you can find.